The journal TEMA - Trends in Applied and Computational Mathematics - publishes original papers with innovative and/or relevant contributions to the field of Applied and Computational Mathematics. 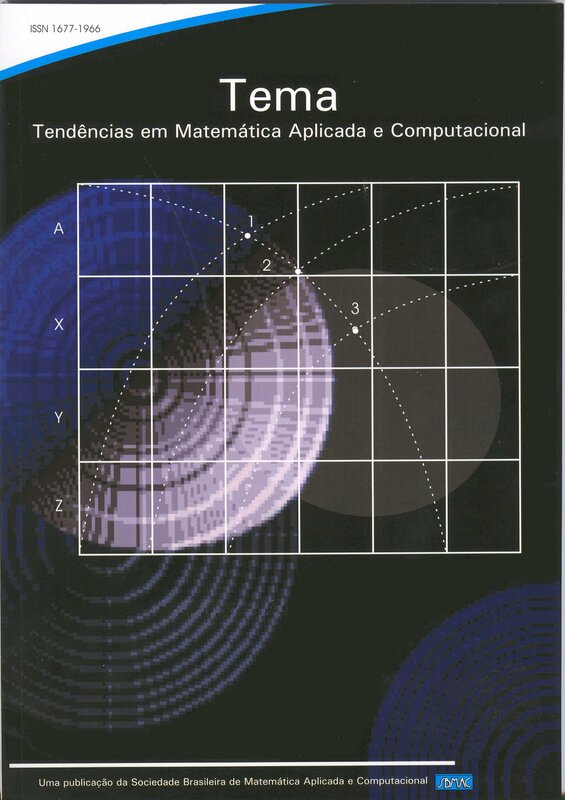 The journal began in 1999 as an initiative of the Brazilian Society of Computational and Applied Mathematics - SBMAC - with the aim of publishing the Proceedings of the Brazilian National Conference on Computational and Applied Mathematics - CNMAC. At that time, the creation of the journal TEMA was an opportunity for the Brazilian scientific community to disseminate the research presented at CNMAC. Later in 2006, with the increasing interest of the scientific Brazilian community, the journal TEMA started receiving manuscripts independent of the proceedings, accepting articles from the academic public in general, increasing the scope of this important publication. Since the beginning, the criterions to compose the journal’s Editorial Board were based on competence and excellence in each field of expertise, always choosing renowned researchers from different regions from Brazil and also from abroad. Submitted manuscripts should be original and follow the standards of international publishing. Manuscripts can be written in English or Portuguese. All articles should not exceed 20 pages in length, although longer papers may also be published under exceptional circumstances. The peer review is performed by at least two ad hoc anonymous reviewers, selected by the Editorial Board. Currently, one volume of the journal TEMA is published per year, which comprises up to three (3) fascicles (numbers). Since 2014, only institutional members receive printed copies of the journal, that are responsible to supply their respective libraries. The on-line version of the journal is available in PDF format at http://www.tema.sbmac.org.br with free access to all scientific community. The great number of submissions of manuscripts written in English language, in the past few years, from both Brazilian and foreigner researchers alike, indicate that the journal TEMA is nowadays recognized as an important publication in the field of Applied Mathematics, from both national and international scientific communities. As a consequence, since 2012, the journal TEMA was indexed in the SciELO database (http://www.scielo.br/tema). New issue of TEMA published! The first issue of the 18th volume of TEMA Journal is already available in our website. Check it out! A new issue of TEMA has just been published. A new issue of TEMA journal has been published, the first of 2016. Check out number 1 of volume 17, already available in our website. TEMA issue number 3 of volume 16 (December 2015) was recently published. Check it out! Information about the correction of some broken DOI links.